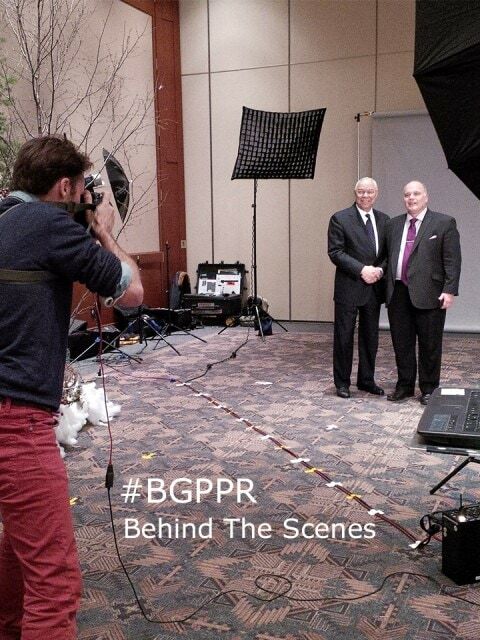 Behind the scenes photo from our photo shoot with General Colin Powell at The Art of Leadership in Calgary, Alberta. 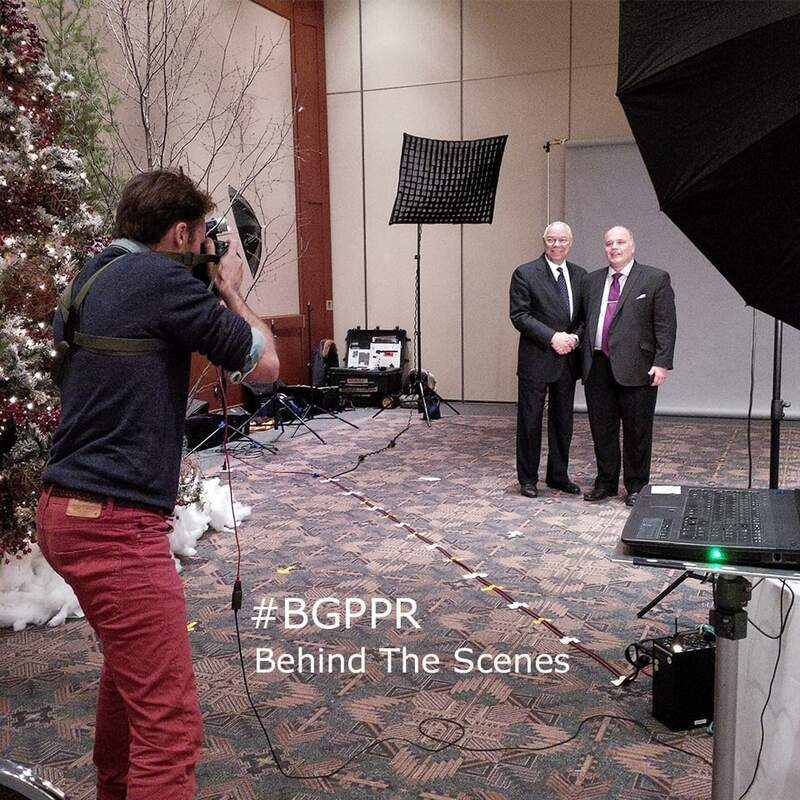 Need a Calgary PR photographer? Contact us with details.